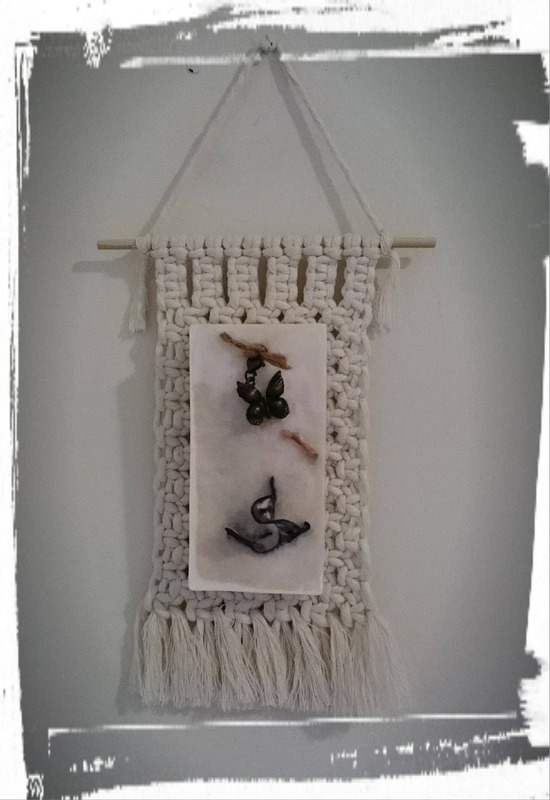 100% Australian Hand Made Soy Wax Space Freshener and Hand made Macrame Holder. 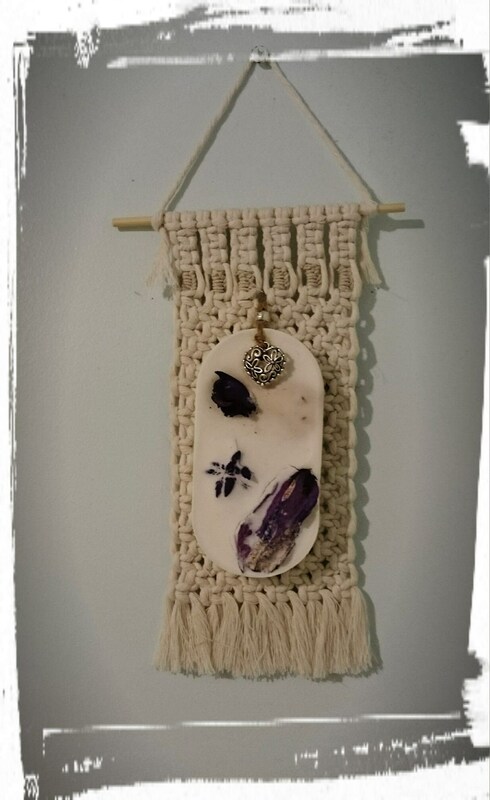 Handmade soy wax space fresheners & hand made macrame holder made to order. 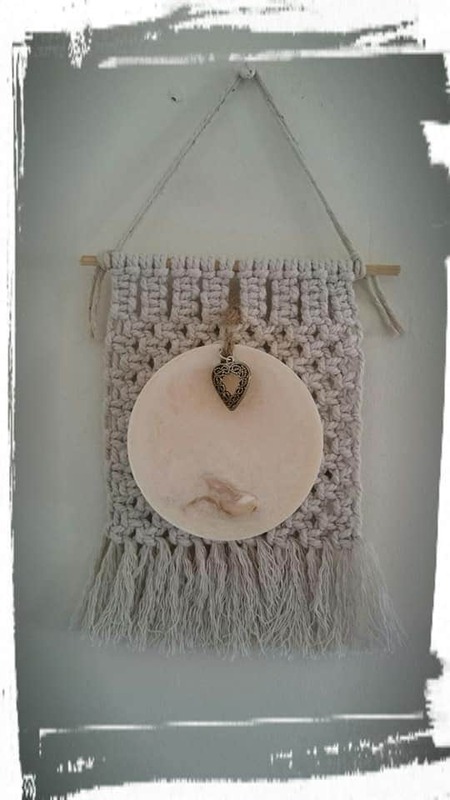 Macrame hanger for aroma tablets. 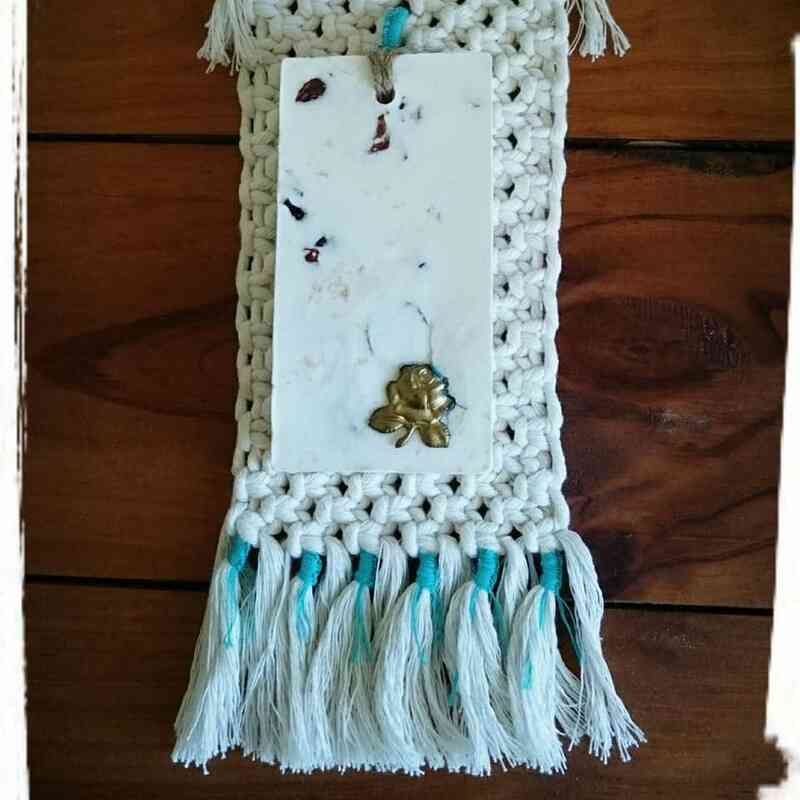 These's are a Sweet-D-Lites original idea handmade macrame hanger for our aroma tablet freshers. 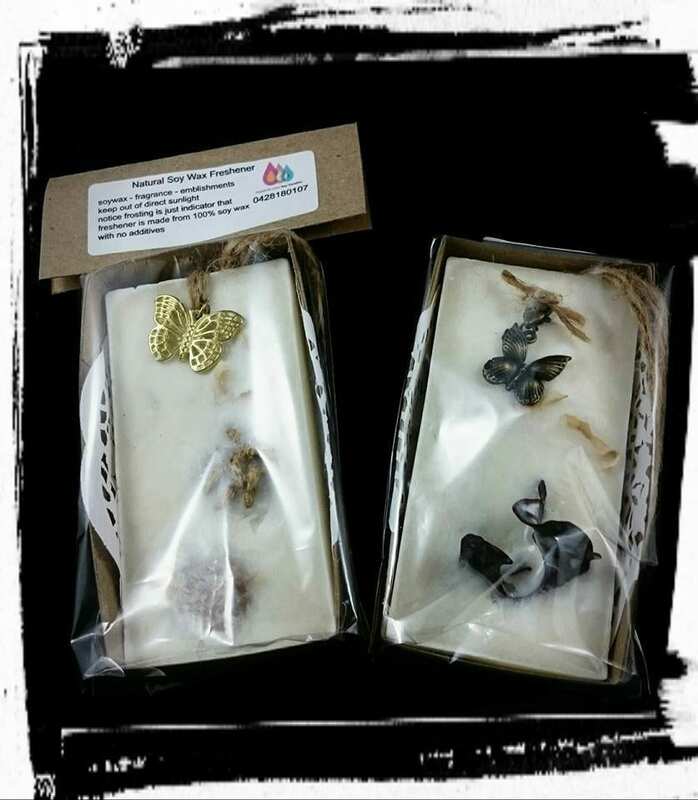 Handmade soy wax space freshener and handmade macrame hanger original idea to Sweet-D-Lites 100% Natural Soy Wax Products the aroma of the soy tablet is going to infuse into the macrame hanging. Making a nice aroma flow in a corner or room space. made to order. 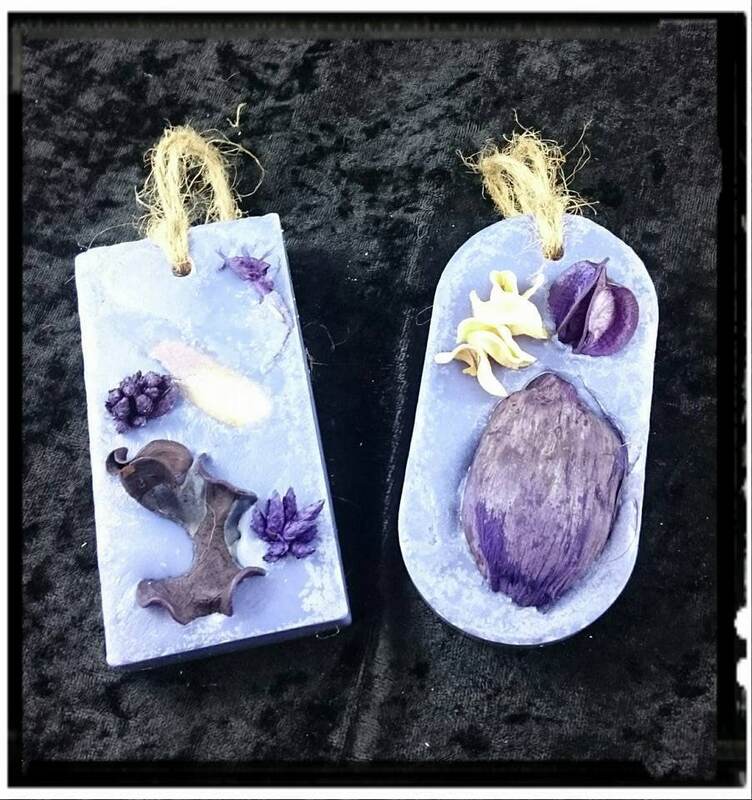 This is an example has been made with natural soy wax, cinnamon orange fragrance and fused with vanilla potpourri, left natural in colour to tell its own story. being original and one of a kind, using different embellishments. Each one original and one of a kind, using different embellishments. If wanting for a wedding favor or party can be arranged to have the same charm, personalize labels can also be made expressing your words. This is just the an example of presentation available, will be showing different examples of what will be available. Please do not hold the sachet in direct contact with clothes and keep away from heated sources - i.e no direct sunlight. Frosting may occur, please do not be alarmed as its an indicator that its made from 100% soy wax with no other additives. 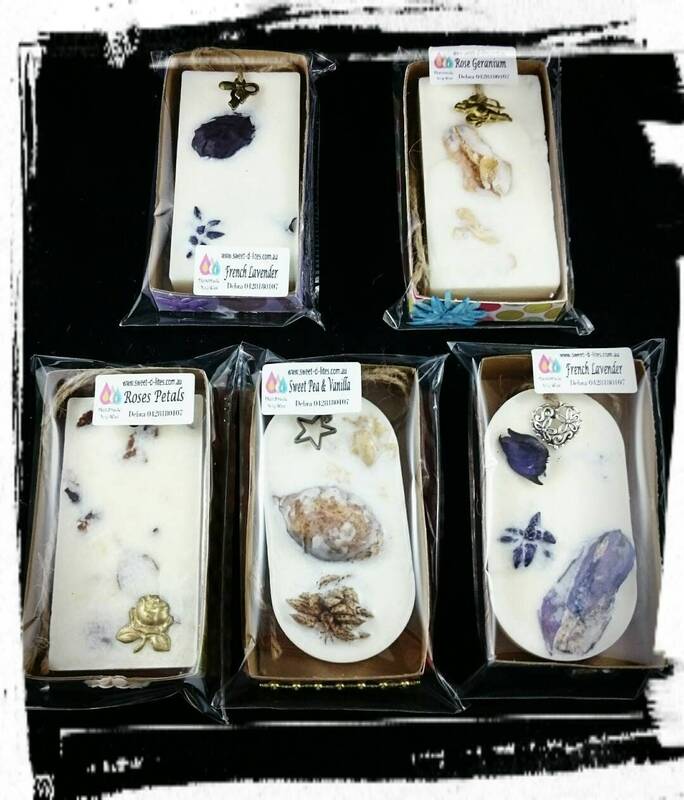 Fragrance will fade over a period of time, then simply break up and use in your melt burner if you choose to, you will then be able to enjoy your fragrance longer. One of a kind, embellishments will vary for each one made.